Click here to request a complimentary consultation to discuss your commercial project needs and requirements. Scroll down for a full listing of previous commercial projects and select examples of our work. For more information about any of our commercial projects listed below, go here to send us a message. This building originally housed a dry cleaning business. The conversion to two catering kitchens required careful coordination of plumbing, HVAC and electrical systems to maximize use of existing conditions. Part of the "Mt. Shasta Building Project" with North Rim Construction. One of five separate buildings originally connected as a manufacturing and warehousing business. 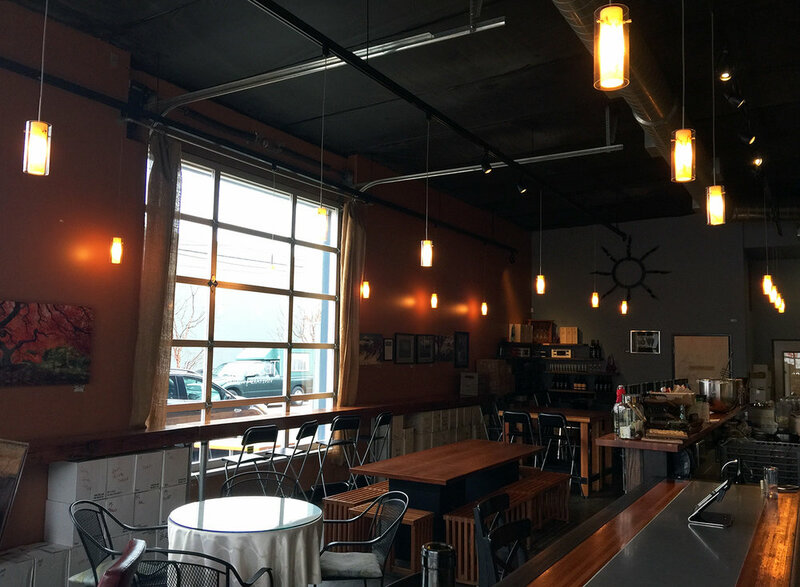 Converted into a tenant space for Tessoaria Wine Bar. Part of the "Mt. Shasta Building Project" with North Rim Construction. One of five separate buildings originally connected as a manufacturing and warehousing business. 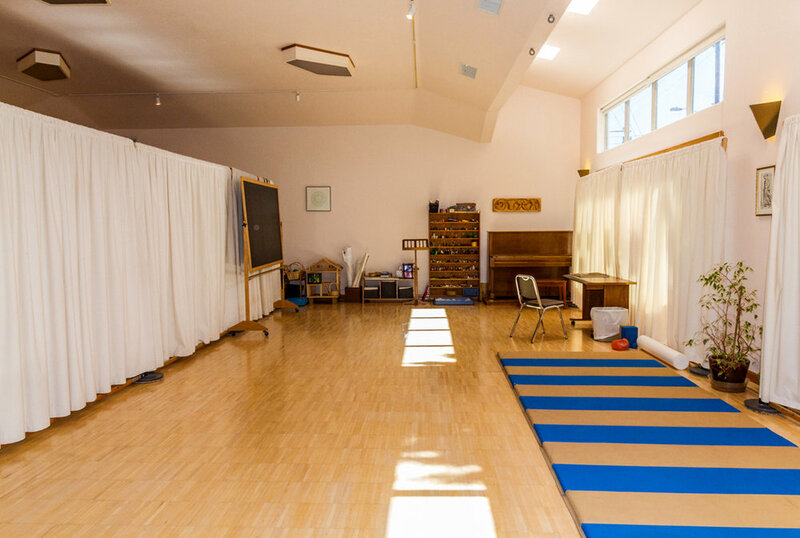 Converted into a tenant space for Barre-3 Exercise Studios and Corporate Headquarters. This project involved working with our client to modify hotel franchise standards to suite unique conditions of the site and building. The limited size of the site required parking to be located below the building. New offices were added to an existing 1909 era warehouse. Soils issues due to years of sawdust accumulation required the use of a pile foundation. The front reception desk and interior detailing were enhanced through the use of exotic wood products. This project involved exterior restoration of classic ground floor storefronts and upper floor windows. The interior was remodeled for code compliance and to create marketable tenant spaces. This project involved conversion of an existing furniture showroom and warehouse to an office usage. The exterior was updated to coordinate with the traditional local character of the surrounding neighborhood. The interior was renovated to create a two story lobby space and provide tenant improvements for multiple office spaces. 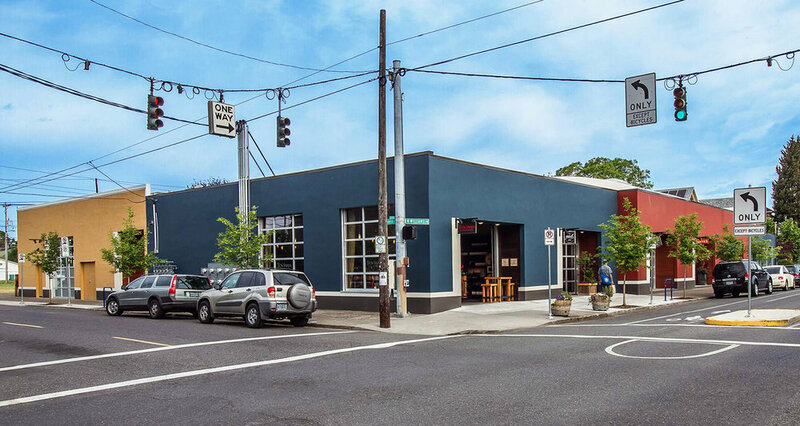 This project involved exterior restoration of an existing retail building to reflect its original character. Interior tenant improvements were made for a Thai kitchen, catering kitchen, and chiropractor office. This project was originally designed as a law office for the building owner. It is currently occupied by a Pregnancy Resource Center. This new two-story building was created to house multiple tenants. This project included and initial investigation of alternatives to accommodate anticipated future growth, including options for an added story and single story layouts. The most economical solution was determined to be and addition to the front of the building and a remodel of the existing interior to create a more efficient layout. For this project, we also worked with the contractor to develop a strategy to maintain existing buisiness operations during building construction. 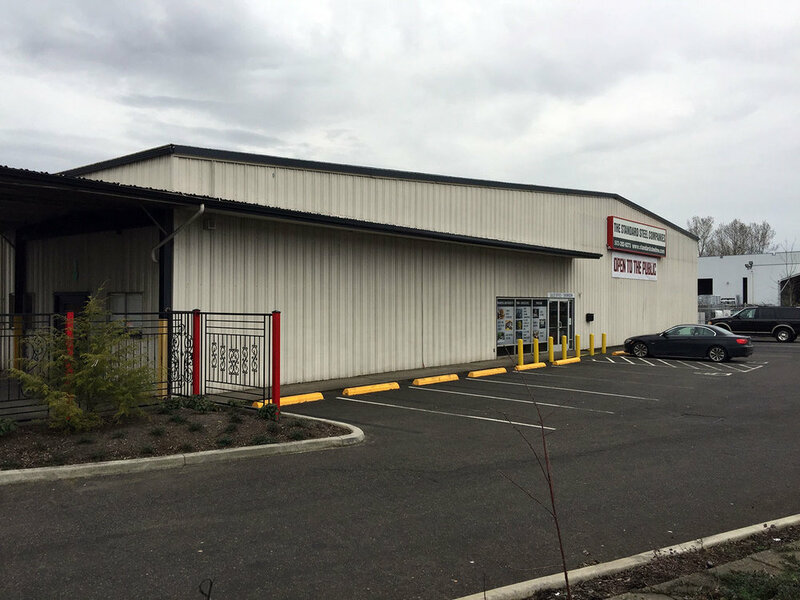 Wanting to modernize and expand its business, this steel product supply company purchased a four acre industrial property to replace its three adjoining leased sites (bisected by an active railroad line). A new 300’ long, 60’ wide, 25’ high storage shed was added to existing structures being remodeled to house corporate offices, product show rooms and fabrication equipment. A variety of complex code issues and storm water management requirements were resolved while providing an efficiently functional facility. Phase one of this project involved the creation of a new physical therapy gym with two apartments above. Phase two involved a second story addition to the original clinic building. 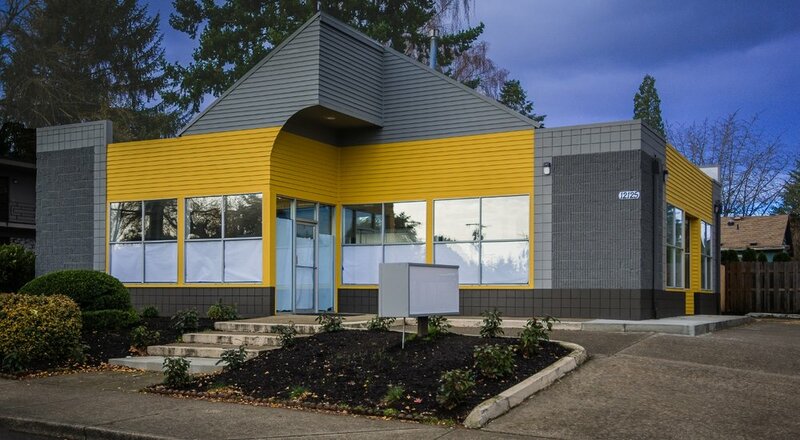 New building created for a single tenant in the Salmon Creek area of Vancouver.